Desk Nibbles features new snacks each month in your Muncher & Nibbler box plans. Never get tired of the same office snacks again, every month you'll have something new to look forward to! Açaí. Pomegranate. Goji. These aren’t your everyday fruit flavors. Who would dare wrap them in a delicious ball of dark chocolate? 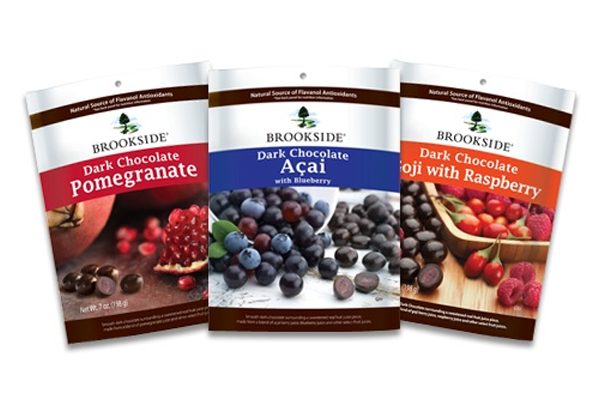 Brookside would, and they did. The result, is a delicious tart & zingy dark chocolate treat. Inspired to make healthy food more accessible, through convenient delivery and exceptional taste. 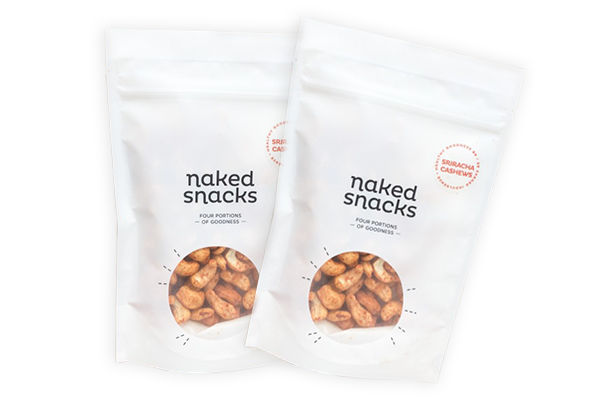 Naked Snacks’ works to stay away from processed ingredients. Naked because they are open about what goes in the food we make. The power of chia seeds and quinoa combined with whole-grain goodness in a totally new, crunchy way. 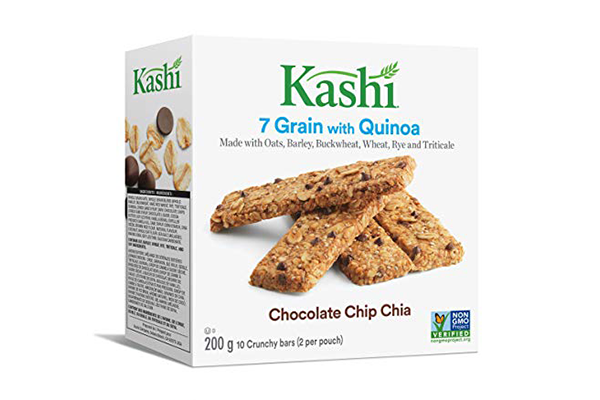 Kashi’s Crunchy Granola & Seed bars have 320mg ALA omega 3 per serving, fiber and chocolate chips to make them uniquely delicious. 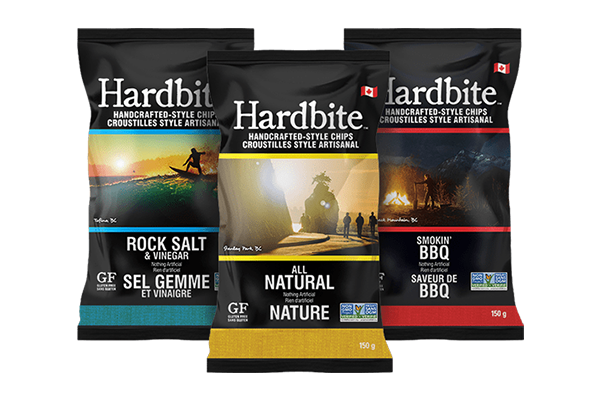 Unwavering desire to make a chip from the finest, freshest ingredients means that every chip comes dressed in all-natural seasoning and is free from GMOs, trans fat, cholesterol and gluten. 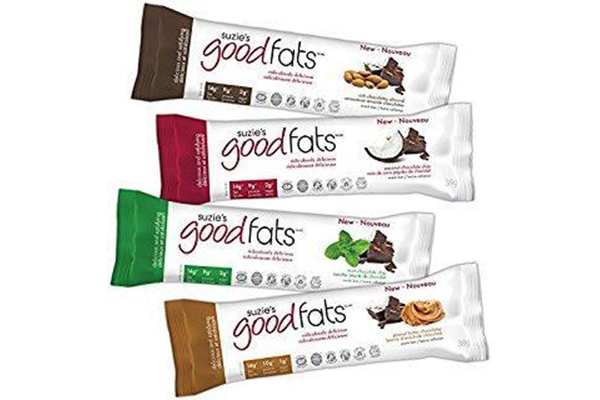 These delicious bars include lots of healthy fats in your diet and stay away from processed ingredients, sugar, and trans fats. That doesn’t mean sacrificing amazing tastes, though. Good fats can come from ridiculously delicious foods like peanut butter, chocolate, nut butters, coconut and coconut oil and more. Wafers smothered in rich, dark chocolate. 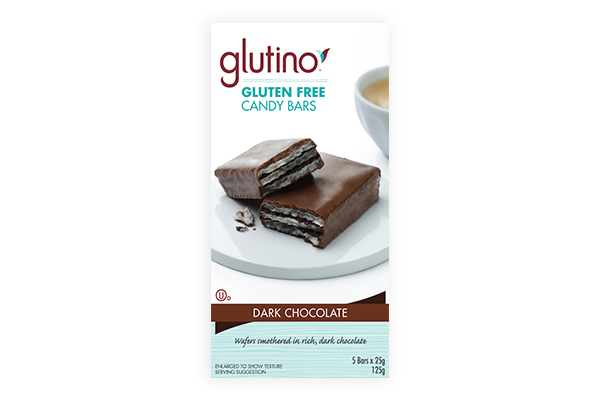 Glutino has always been a leader at packing high quality taste into a healthy snack that’s 100% gluten free. 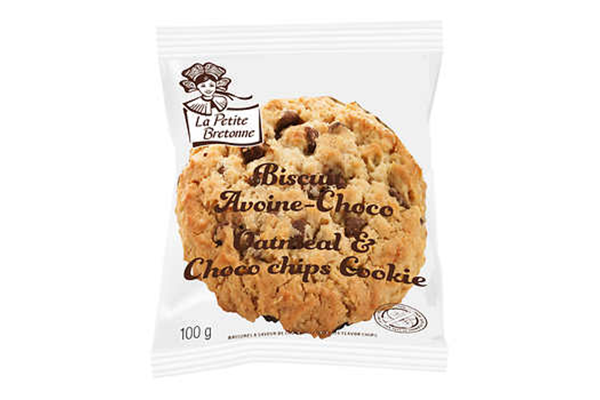 La Petite Bretonne oatmeal cookies are an ideal snack for any time of day. They are made with lots of oatmeal… and lots of know-how! They are a source of iron and Vitamin A, a good source of Vitamin D but most importantly, they are made in a nut and peanut-free factory!